This is an impeccable execution of a beautifully simple yet exceptionally functional classic. 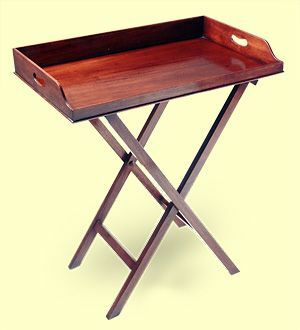 All corners on the tray top show exposed dovetail joinery and the entire piece is crafted from solid mahogany. Stand has natural webbing straps.